Perched on a hillside with a view of the country side, the Red Fern Log Cabin is a brand new Ohio Amish Country cabin located at the Coblentz Country Cabins in Berlin. 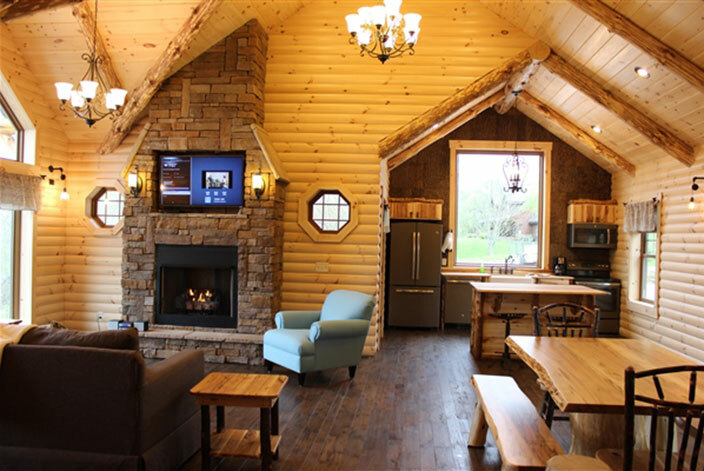 This is our largest log cabin, with 2,500 square feet, and features three sleeping areas: one king on main floor bedroom, one queen in open loft, two queens in finished basement and a queen sleeper sofa in the basement. 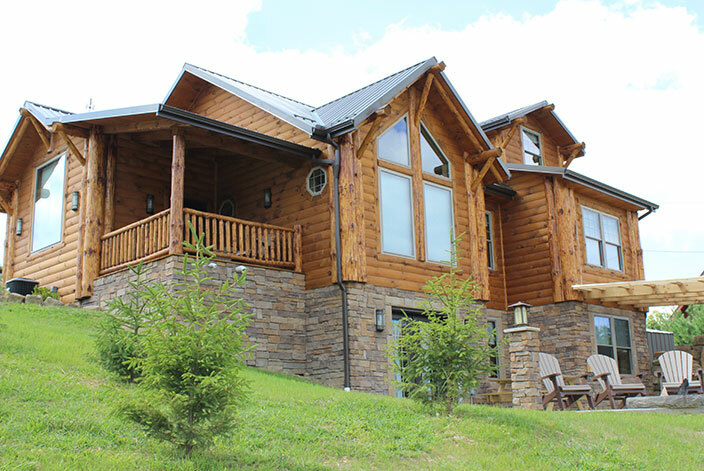 This three story log cabin features a full kitchen, full living room with stone fireplace, dining table, two full bathrooms, jacuzzi, pool table, arcade game, and much more! Be sure to enjoy the great outdoors with a grilling area, fire ring with chairs, porch with rocking chairs, and the unique 10 person in-ground stone soaking tub. Rustic hand scraped logs, locally made Amish log furniture and lots of rustic charm! 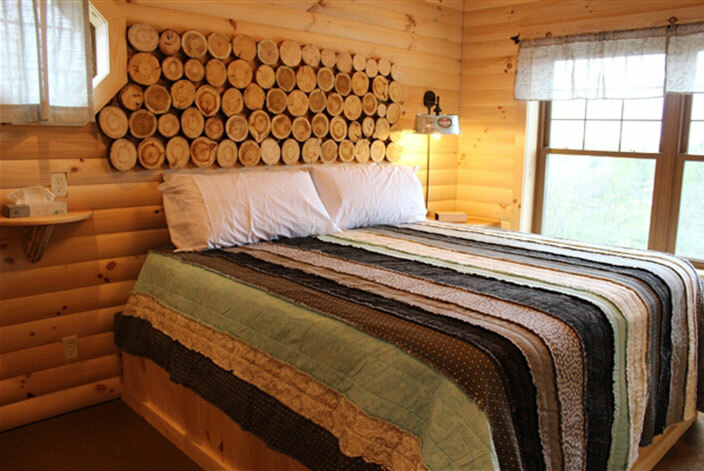 Why drive to the commercialized Smokies when Coblentz cabins are just a short drive and better? Wow the cabins are priced right and offer such stunning views. 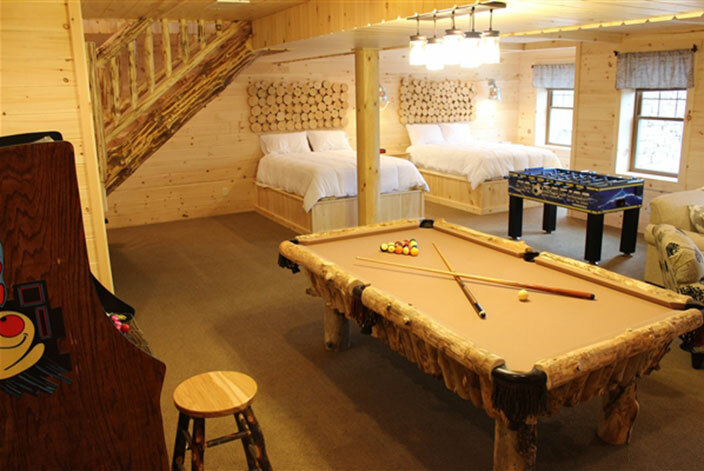 We have stayed in some of the most elaborate cabins available in the Smokies and these guys have it nailed. Will be back and bring friends to enjoy too.